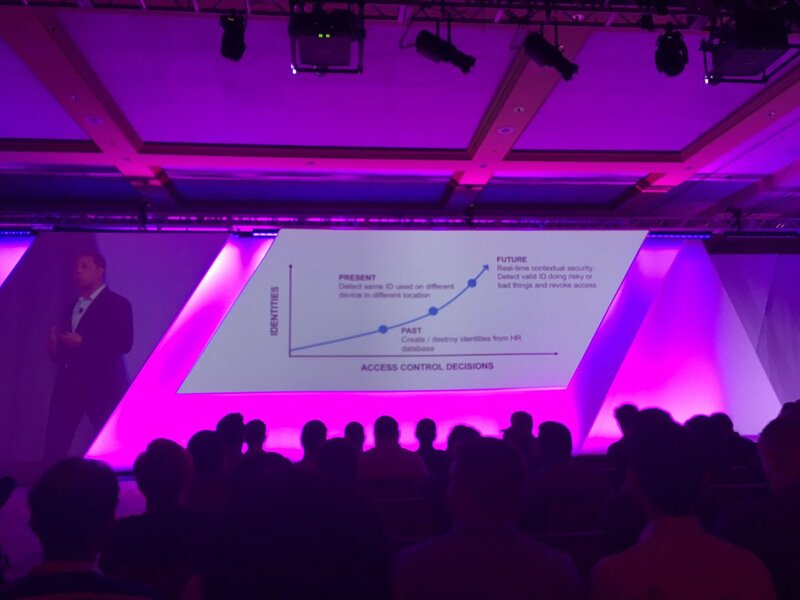 Last summer I attended and spoke at the Cloud Identity Summit in Chicago. First big news: it was renamed to Identiverse and 2018 will be in Boston. As a consultant I have limited time to attend conferences and speak. So conferences have to be great. I do love this one, but in the interest of time, I will be skipping it this year in favor of speaking at the European Identity Conference in May 2018 in Munich, Germany. I have enjoyed the Cloud Identity Summit every year I have attended, Vail, Napa, and Chicago. The family atmosphere is incredible. Each year it seems to grow. Lots of great content. Andre Durand, CEO of Ping Identity, is always very approachable. His wife plans the family events. My kids have some great memories from the repelling, special trampoline, pool parties, story times, museum visits, and gondola rides. Andre led off with a great keynote, talking about how someone invaded his hot tub at his vacation home. He even showed us video. With more to protect, just enough, just in time access is the key. Running, blocking and hiding are the instinctual first level of defense, but it isn't enough. Memory and habit is the next level, i.e. don't click on email links, but yet we must still reach further to intelligent reaction. Environmental awareness, to pattern recognition to avoid the threat in order to survive. Summing it up with Intelligent Identity equaling real time contextual authentication. In the last two years they have added more content discussing actual implementations of different kinds of Identity Management technology, for example my friend Frank Drewes delivered a session on Identity Challenges to Office 365 deployment. I think that is very important.